Colt Universal Louvre Acoustic Panels, for mounting behind the louvre panels, to reduce noise egress. 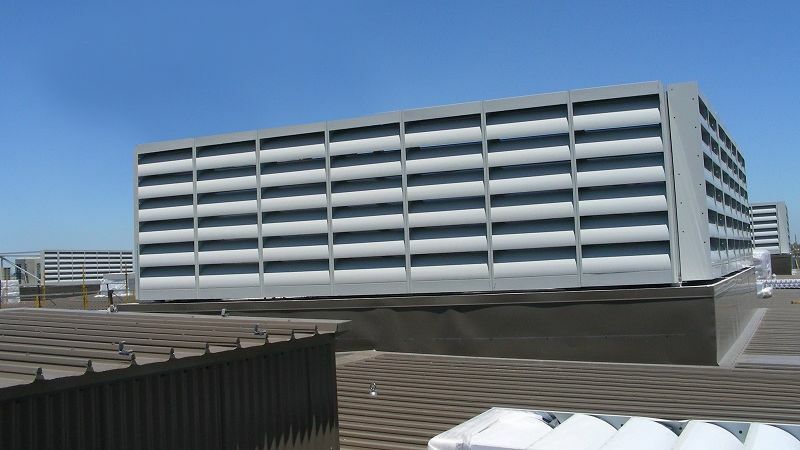 Plant rooms, cooling towers, condenser plant and so on will often produce sound pressure levels which may exceed existing or required noise criteria at prescribed distances from the building. Colt has a range of acoustic panels which complement the Universal Louvre range, which will meet the most stringent criteria. 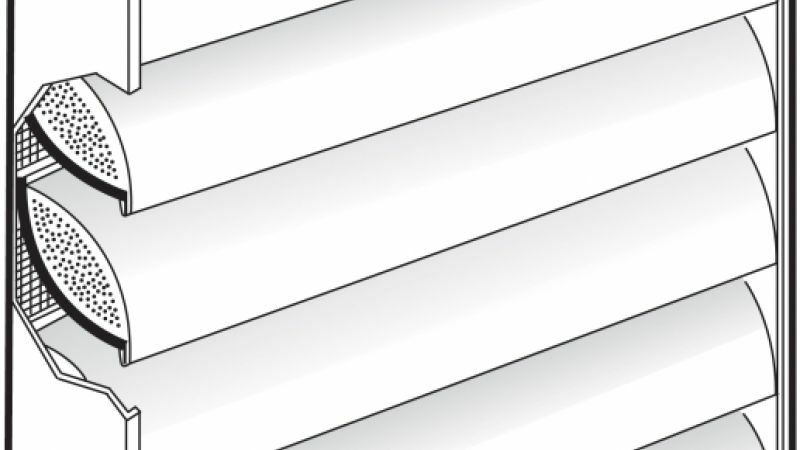 If a single bank of elements does not provide the required noise control, a double bank may be specified. As an alternative, duct silencers may be selected to give the desired noise reduction. To ensure the most economic solution, noise control must be considered at the earliest possible design stage. 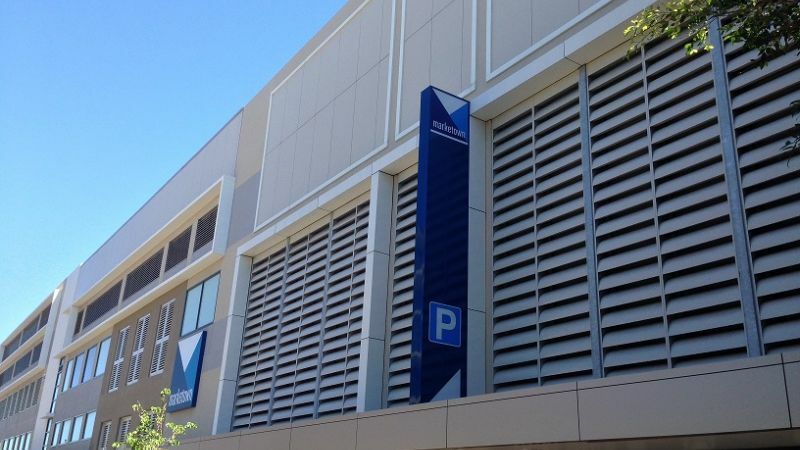 Retrofit installations of acoustic louvres can be significantly more expensive. If in doubt, please contact Colt for assistance. Type R - Optimum acoustic performance with normal pressure drop. Type LP - Normal acoustic performance with minimum pressure drop. 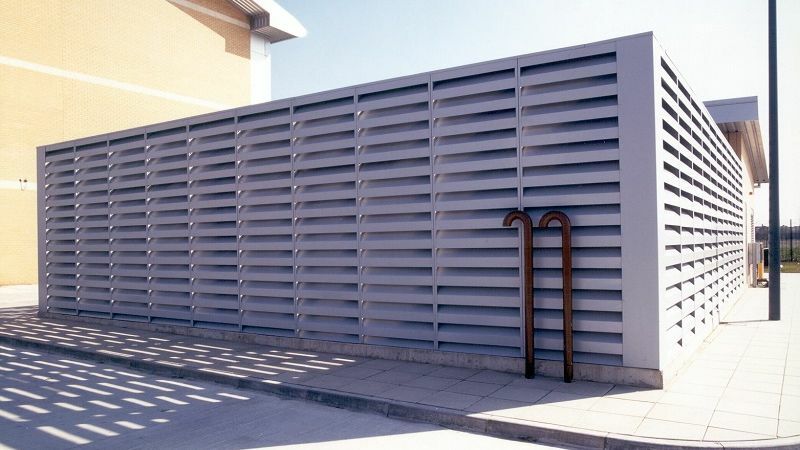 The outer casings are 1.2mm galvanised mild steel sheet, with the acoustic louvre blades of aerofoil configuration formed from 0.7mm perforated galvanised mild steel sheet on the inner surface and 0.7mm galvanised mild steel sheet externally. The infill is of organic mineral wool or glass fibre of 47kg/m³ density and packed under not less than 5% compression to eliminate voids due to settlement. Acoustic louvre banks over 1220mm wide and/or 3660mm high will normally be supplied as two or more modules for site assembly. Please contact Colt for performance details.